All good things must come to an end and this “Winter” class was definitely a good, life changing “thing” for our class. With our final days in tropical paradise the cramming has begun; finishing our identification project, studying for our ID quiz and our final has begin to make our stress levels rise. 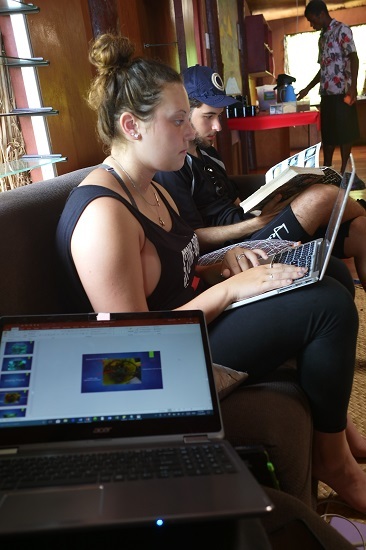 Many of have taken our final day for diving off in order to finish and study just as a precaution. Getting our studying done to prepare for tomorrow. Tomorrow (January 18th Fiji time) we will be taking our final exam and our identification quizzes both in water and out of water. 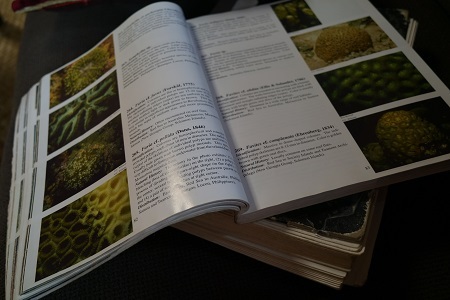 Some identification books we have been using to study. Wish us all luck with our final days here and our lengthy venture back to the states where winter is actually cold.